ABIN2630015 (0.01µg/ml) staining of Jurkat lysate (35µg protein in RIPA buffer). Detected by chemiluminescence. ABIN2630015 (0.01µg/ml) staining of Mouse (A), Rat (B) and Pig (C) Heart lysate (35µg protein in RIPA buffer). Detected by chemiluminescence. 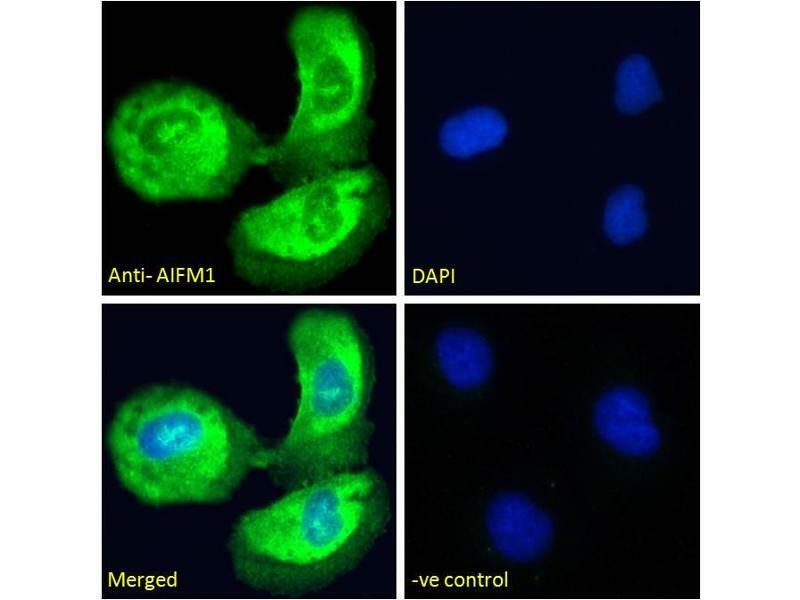 Specificity This antibody is expected to recognize isoform 1 (NP_004199.1), isoform 2 (NP_665811.1), isoform 3 (NP_665812.1) and isoform 4 (NP_001124318.1). DS WB Results: Approx 70 kDa band observed in lysates of cell line Jurkat and NIH3T3, and in Mouse and Rat Heart and Kidney lysates. Approx. 65 kDa observed in Pig Heart lysates (calculated MW of 66.9 kDa according to Human NP_004199.1 and 66.8 kDa according to Mouse NP_036149.1, Rat NP_112646.1 and Pig NP_001284561.1). Recommended concentration: 0.01-0.1 μg/mL. Primary incubation 1 hour at room temperature. 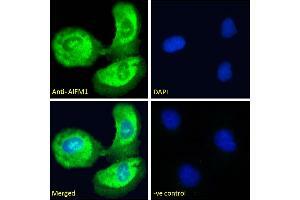 Immunofluorescence: Strong expression of the protein seen in the Mitochondria of HeLa and U2OS cells. Recommended concentration: 10μg/ml.